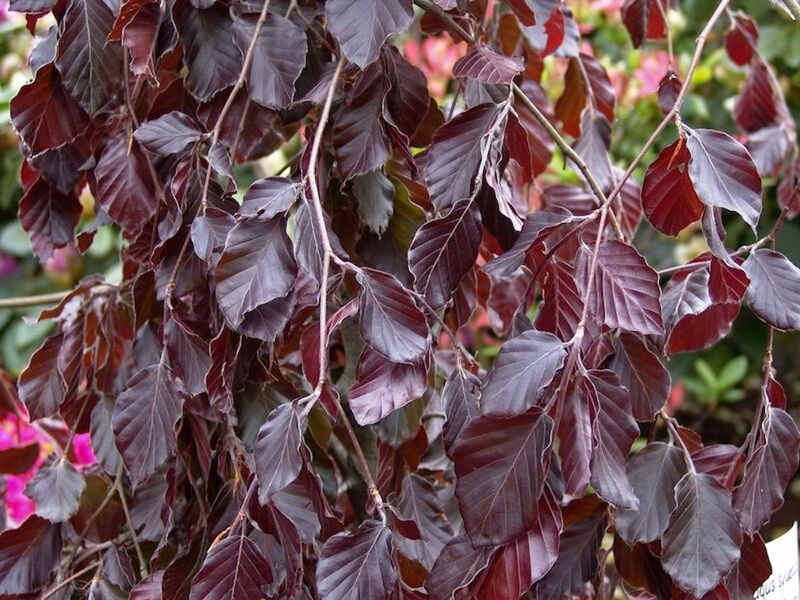 A large tree reaching a height of over 6 metres (20 foot) after 10 years, Purple Fountain (Fagus sylvatica 'Purple Fountain') is one of the best selections of the weeping purple beech with a narrow growth habit developing a good dominant central leader. The leaves are rich dark purple. First intoduced in Holland. This tree is supplied at a height of between 1.5 and 2.0 metres in a 12 litre container for year round planting and better results than from bare-root stock. October 2013: The tree came in perfect condition. I planted it straight away, and little shoots are already growing. If I had a bigger garden I would buy more trees, but my wife ( a garden hater) says I already have a jungle. Actually, I am quite happy with that comment, as that is exactly what I am trying to achieve.